The American Lancia Club was founded in 1956 by Hayden Shepley primarily as a group of Lambda owners in the North East area of the United States. The original set up was a $ 5,00 life time membership with informal gatherings and a mimeographed newssheet. As with the English / European car influx into the USA which initially took place at the East and West coasts, the ALC evolved in a similar pattern. In the late 1960s. Francesco Burgiesser worked with Hayden to develop the ALC into a national organization. One of the first reunions was held in the Valley Forge, Pennsylvania with a reunion in Indianapolis the following year. With a distance of 3.139 miles / 5.085 kilometers between Boston and San Francisco, it took time and effort to expand the ALC to the West Coast. The first West Coast reunion took place in Southern California in 1969; the same year Lancia technically stopped imports in the USA. With the exhaust emission law that took effect on 1 January of 1968, the import of Fulvias went to zero over the next two years. 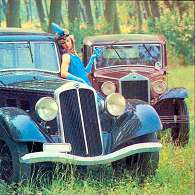 Not that the numbers of Lancia cars sold in the USA was ever high; their cost was high and the sales were low. One of the best car bargains in the world was a two year old rust free California Fulvia at half the original cost. The membership has averaged in the 400 to 500 range over the past thirty years. There was a large increase of members in the Beta era of the late 1970s. Today the ALC is still centered on the East and West Coasts yet all 52 states are represented. With the geography of the USA it takes some effort and planning to have gatherings that are accessible to the members. Please feel free to contact us if you have an occasion to be in the USA. This is a big country of interesting automobile owners.